Yes, you can see Office 365 Groups in the Explorer. Our filtering option allows you to see the full list of Groups on your environment. 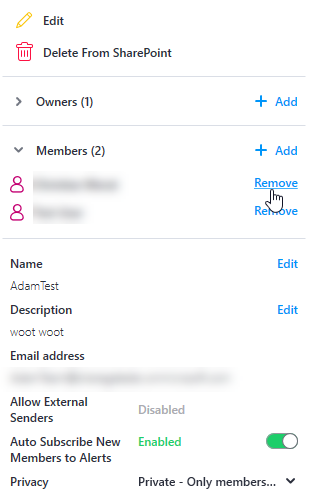 You can also add or remove Owners/Members directly from the Quick Action panel, and enable or disable certain actions. Please access our full guide on using ShareGate Desktop to manage Office 365 Groups for more information.